Israel Prime Minister Benjamin Netanyahu now openly endorses “Jewish fascism,” said Etan Nechin in Ha’aretz. With a national election due in April, Netanyahu wants to ensure his coalition gets every available right-wing vote, so he has engineered a merger between the far-right, Zionist religious party Jewish Home and Otzma Yehudit, an ultraright party founded by followers of the U.S.-born rabbi Meir Kahane. Netanyahu said neither party alone would pass the electoral threshold of 3.25 percent of the vote necessary to enter the Knesset, and therefore all those votes would be wasted and his coalition would lose to a center-left grouping. But Otzma Yehudit isn’t just another right-wing party: It has been called the Israeli version of the KKK, and its predecessors have always been shunned. A vicious racist, Kahane believed in expelling all non-Jews from Israel, including Israeli citizens; banning intermarriage between Arabs and Jews; and annexing and purging the Palestinian territories. When Kahane—who was assassinated in Manhattan in 1990—was elected to the Knesset in the mid-1980s, lawmakers with Netanyahu’s Likud party would leave the chamber en masse whenever he rose to speak. Yet now Netanyahu wants to provide political cover to “the most violent elements in Israeli society.” He even promised them two seats in the security cabinet, as well as the education and health ministries. These people are literally terrorists, said Noah Siegel in The Jerusalem Post. 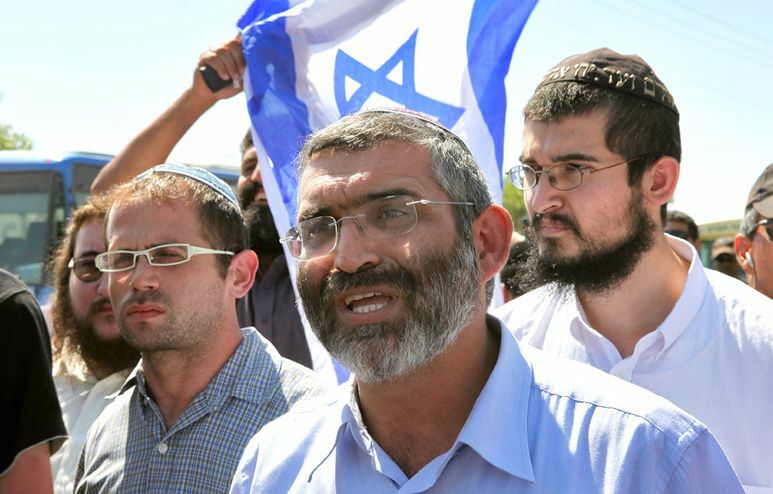 Otzma’s leader, Michael Ben-Ari, has been “banned from entering the United States for nearly a decade because of his links to terrorism.” He belonged to and has never disavowed the Kahanist Kach movement, whose members planned a series of assassinations against Palestinian mayors and tried to blow up the Al-Aqsa mosque in Jerusalem. It was a Kach member, Baruch Goldstein, who killed 29 Palestinian worshippers at the Tomb of the Patriarchs in Hebron in 1994. Otzma’s other leader, Itamar Ben-Gvir, has a picture of Goldstein hanging in his home. American Jews were “quick to express their shock and outrage over the union,” said Yehuda Shohat, also in Yedioth Ahronoth. The powerful American Israel Public Affairs Committee (AIPAC) and the American Jewish Committee denounced Otzma Yehudit as “racist and reprehensible” and noted that mainstream Israeli parties have traditionally rejected the extreme right. If Netanyahu succeeds in forming a new coalition government that contains Otzma Yehudit, will Jews in the U.S. support it?